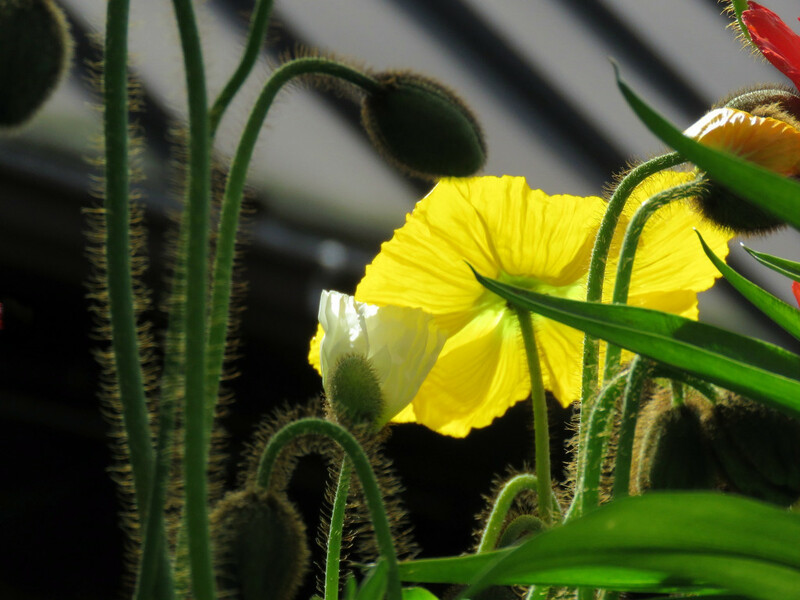 The backlighting on this poppy caught my eye for this shot several days ago. This was an outdoor poppy display at West Seattle Nursery. Thanks for stopping by. That yellow really pops - nicely done. Beautiful lighting, details and colors. A beautiful bold shot - the backlighting here is really effective - fav! I can feel those hairy stems...just splendid!